A survival server for MCPE. 150 slots, custom plugins, great community. I want to join you are you on? I'm on, but I just fixed the gamemode issue. Wow this is so awesome since I was one of the beta testers, will play numerous rounds daily !! Finally a good hg server!!! It is currently on, however Server C is not working at the moment. So, if you can't connect, you could have to wait up to 6 minutes until an available server turns up. I'll fix this later on today when I have access to the server computer, and it'll be legit 24/7. It is very glitchy when it comes to using run mod. It would constantly push you back. Run mod is a hack, and the anti-hacking capabilities are teleporting you back. It will say Outdated Client when you die, because that's how it kicks you. If you are disconnecting when the tournament starts, please get closer to your router (the device that provides you with internet). Great server! But could you change the map because the current one barley has any chests or structures. 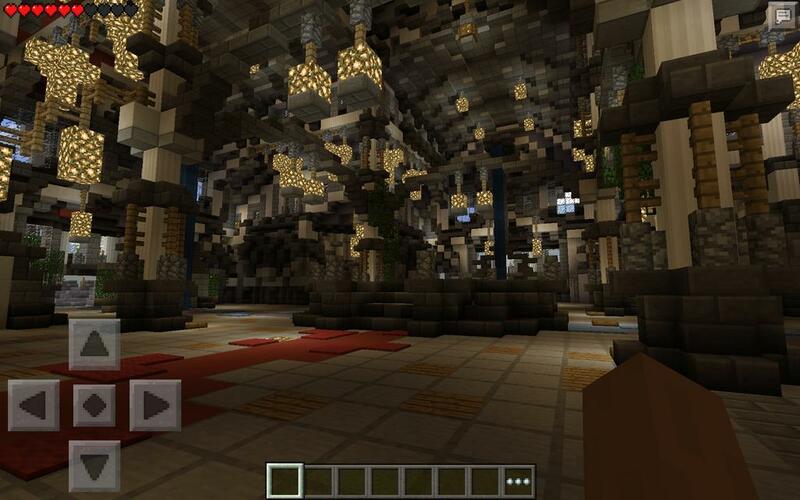 You should make another where the maps are ported ones for PC so its JUST LIKE PC! that would be so epic!!! Server A,B, and C could,d be all different ones. I'd suggest getting the ported "abandoned city." Amazing server though! Also you should allow sprinting mod. I don't really count that as a hack because its in PC, they just didn't add it yet. If you need any help I'm free because it seems like a lot of work. Hope you liked my suggestions!Haha I just got on a game with you! - If you love the ground so much that you are able to connect with it during the beginning period, you will no longer be kicked. - Server C will be implemented. Yes. We're actually 24/7 then. - If you are timing out at the beginning of the tournament due to the motherload of signs raining down from heaven, we're gonna decrease the number a bit. - We'll drop signs at multiple times during the tournament. The signs will come to you. You are their master. - Less lag and improved performance overall. Not that you care, but I saw a tear streaming down the server computer's screen earlier today because someone decided that if they punched the glass enough times it might let them through. Nope. We hear your requests for different maps. We're working on it. Thanks for playing on LBHG! If you don't appreciate my sarcasm, I'm sorry. And you'll never know if I'm actually sorry or if I was just being sarcastic.